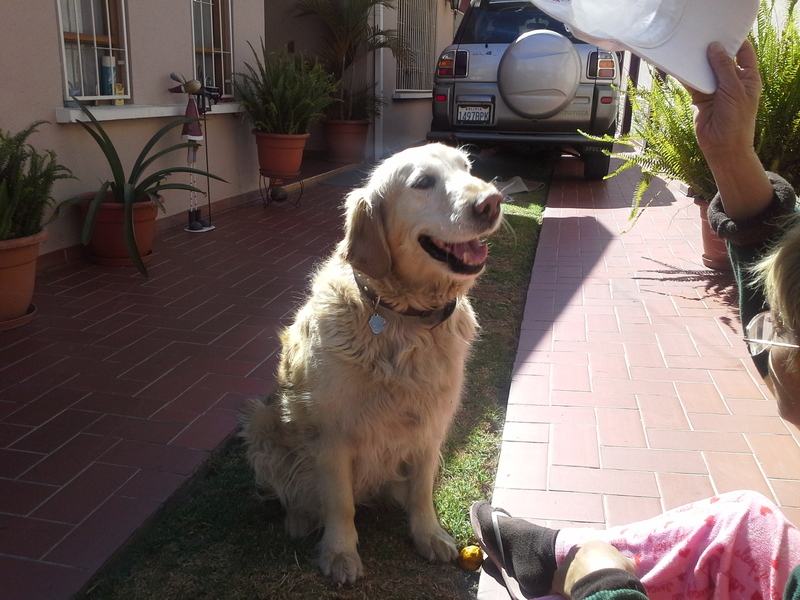 Two days ago, we took our beloved girl, Dana, a golden retriever, to the vet for surgery. She had developed a tumor in her chest and we were told that it needed to be removed before it grew too much and went inside her body to attack other organs. My girl behaved heavenly all the time, as always, but I was disheartened when I saw her scar, it was huge, and could only tell how much pain she was on after the surgery. Besides, the anesthesia did a number on her, when we brought her home, more than 8 hours passed before she could actually sit down, but couldn´t walk yet. I was concerned that she couldn´t walk and wanted to pee but couldn´t. It was the first time where I felt impotent, and couldn´t avoid to look into her eyes and beg that I wish she could talk, so I knew exactly if she wanted to pee, if she was in too much pain, etc. Fortunately, she managed to get on her feet and pee. She was still walking dizzily. I really hated myself for putting her through so much pain and promised her that I would never do that again. This is her second surgery, she had another tumor extracted before, but this time it was too hard on her. According to the vet it´s because of her age, she´s nine, but I feel these problems are just taking a huge take on her. Through her eyes, I felt as if she was trying to tell me: Why are you doing this to me again? And I really couldn´t help but to feel miserable. This post may seem a little bit different from others, but I just felt I needed to write it. And you, how do you feel regarding your beloved pets?